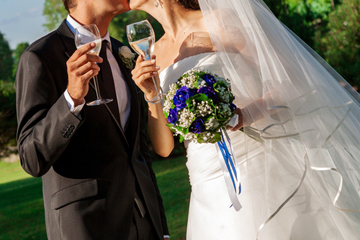 Wedding insurance helps make things right, even when something goes wrong. You’ve always dreamed of planning the perfect wedding, but no matter how carefully you plan, there are many things that can go wrong that are beyond your control. A Wedding Protection Plan can be purchased to provide financial protection if certain unfortunate, unforeseen events should occur. The coverage can offer protection for a variety of situations including lost deposits, severe weather, damaged photos, and wedding gifts.